You'll get access to all the Premium features and there is no long-term contract. Customize your portal, upload your files, create sequences, and schedule your first event. We'll show you all the shortcuts. Have a great event, and schedule the next one. All your files and creations remain on your account for future use. Customize your portal for a professional look and feel that is uniquely yours. Using our visual database means you can teach movement and sequencing to anyone in the world. headaches. Track everything in one spot. No more bulky manuals. No more printing fees. No more giving away your life's work, not knowing who will photocopy it or print it. Become prolific and offer more hours by creating the new, detail-rich, unique content that your students are hungry for. Use it in-person, online, or as an assignment. myYogaLAB uses the most extensive visual database in the history of Yoga. Your students deserve better tools. And so do you. Travel the world lightly, knowing that you can securely access everything you need, anywhere you go. 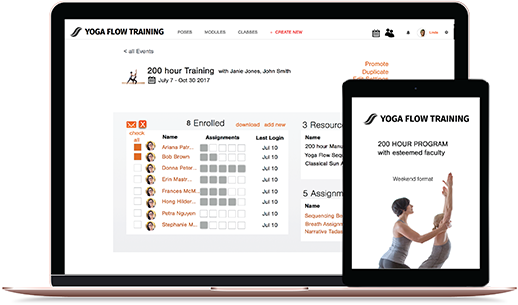 Continue to inspire your grads and the rest of your tribe on the global myYogaLAB site and earn revenue sharing your creativity through the marketplace. 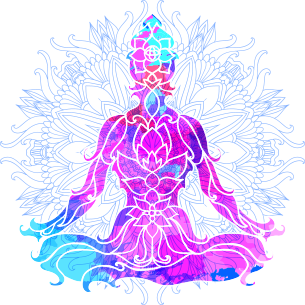 © 2017 myYogaLAB. All rights reserved.